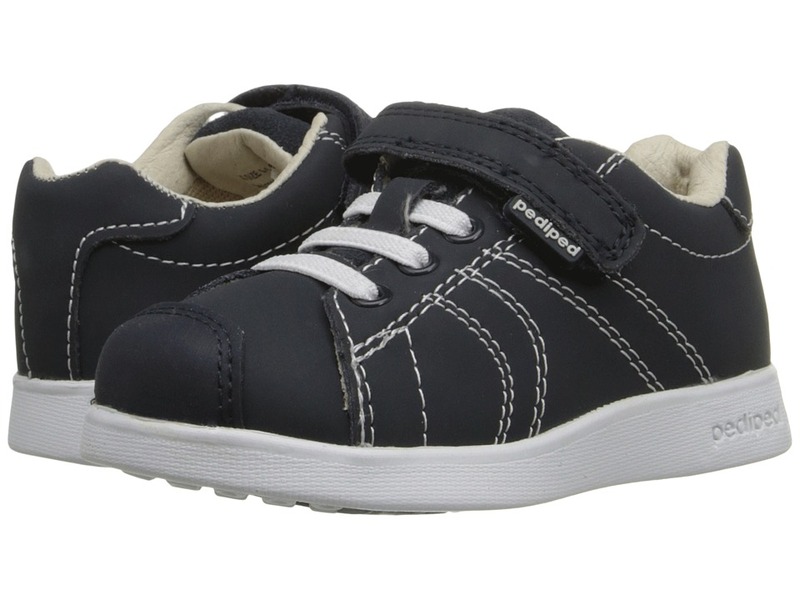 Dress these boy’s shoes up or down for a sharp look. ; Awarded the Seal of Acceptance from the American Podiatric Medical Association (APMA). 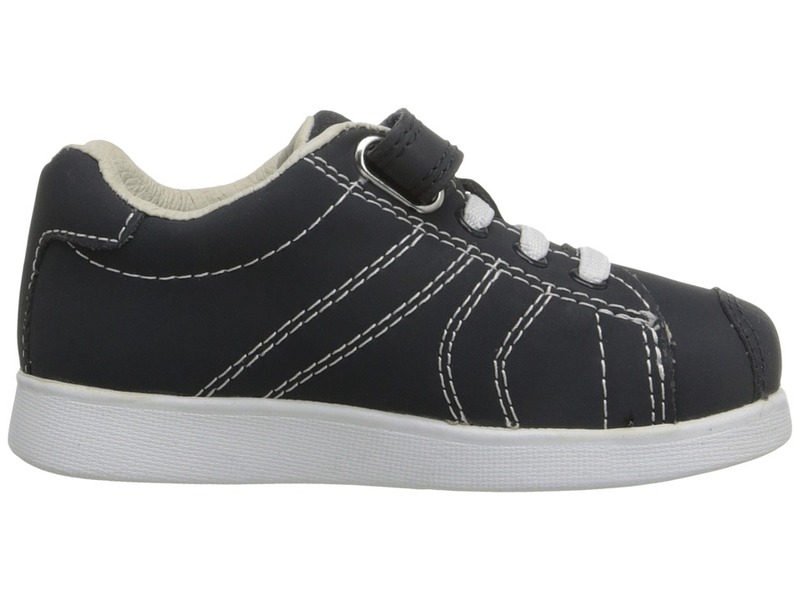 ; Supple nubuck leather and/or canvas upper, along with a leather/mesh lining, and insole. ; Faux laces and single hook-and-loop closure. 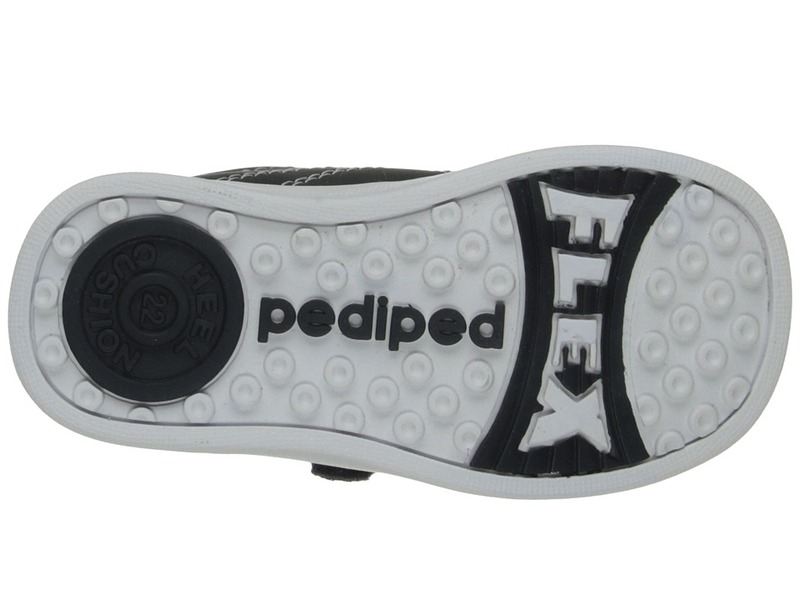 ; Flex offers an additional 2mm insole to truly provide the most accurate fit. Insoles can eventually be removed as the child grows to extend the length of wear. ; Heels are protected by shock absorbing cushions that protect against impact and re-distribute pressure through-out the foot. 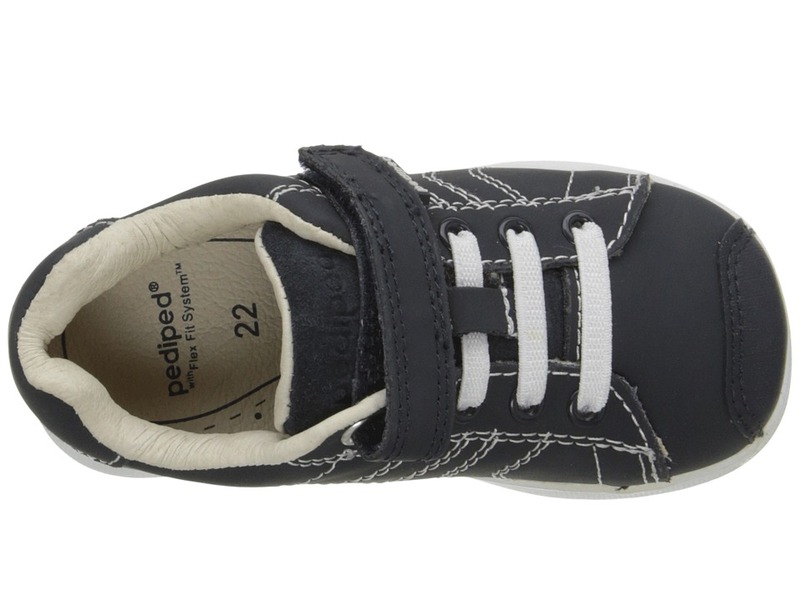 ; Fun, textured rubber outsole allows feet to flex properly while walking. Measurements: ; Weight: 5 oz ; Product measurements were taken using size 24 (US 7.5-8 Toddler), width M. Please note that measurements may vary by size. 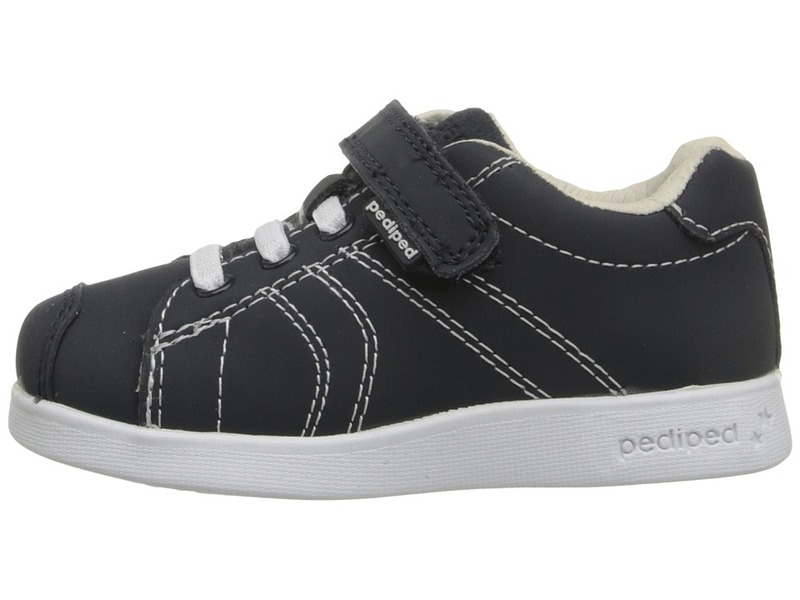 Be the first to review “pediped Jake Flex Boys Shoes” Click here to cancel reply.